Have Questions About Dental Implants? We Have Answers! When you’ve lost a tooth, your first concern may be how the loss makes your smile look. After consulting with your dentist, however, you’ll realize that there’s more to tooth loss than meets the eye. For instance, after losing a tooth, the rest of your teeth can shift from their original positions, your jawbone can grow weaker due to lost teeth roots, and your risks of further tooth loss are heightened. The good news is that, with an appropriate number of dental implants, you can not only rebuild your smile, but also address the many long-term consequences of tooth loss. 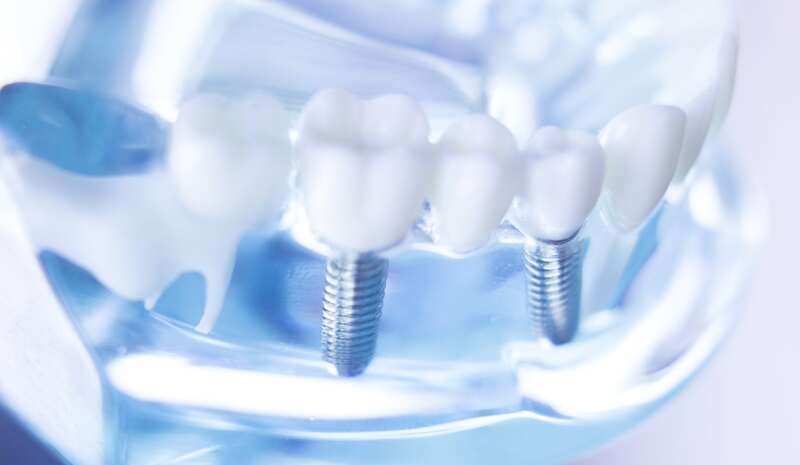 Dental implants are unique from dental bridges and dentures in that they’re designed to offer support for such prostheses, rather than replace them. Implants are small posts made from biocompatible titanium and designed to mimic a tooth’s root. The post is inserted into your jawbone, which fuses to the implant’s surface, and can be used to support a custom prosthesis the way roots support your healthy teeth. Do they work with any prosthesis? Because each implant post is made and placed separately, you can receive one or several posts, depending on the extent of your tooth loss. For instance, if you’ve only lost one tooth, then you can replace it with a lifelike dental crown attached to a single dental implant. If you’ve lost all of your teeth on your upper or lower dental ridge, then you may require up to 4-6 implant posts to support a complete denture. What are the long-term benefits of implants? The greatest benefits of dental implants include the preservation of your jawbone and surrounding oral structures. By replacing lost teeth roots, they reestablish the stimulation needed to maintain a healthy flow of nutrients to your jaw. With the support of dental implants, your crown, bridge, or denture will also rest more comfortably and securely, without ever losing its grip and shifting painfully on your gums. If you’ve lost one or more teeth, then find out more about why dental implants may be your best option for replacing them. To learn more, schedule a consultation with Dr. Kania by calling her periodontal office in Encinitas/San Diego, CA, at (760) 642-0711.